Taking place in Asheville from April 23-27, Moogfest 2014 will pay tribute to synthesizer pioneer Robert Moog with performances by dozens of artists including Kraftwerk, M.I.A., Pet Shop Boys, Flying Lotus, Chic featuring Nile Rodgers and more. 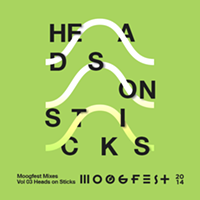 Regularly priced five-day Moogfest tickets are currently selling for $299, but from 10 a.m. today (Monday, March 31), until 10 a.m. on Tuesday, April 1, we are offering a special CL-exclusive discount on Moogfest tickets for only $149. When buying tickets, all you have to do is type in the promo code CLNCMF to get the discount. Music Moogfest tickets flash sale music concert festival Asheville Kraftwerk M.I.A.